In a press release issued on December 31, 2014, the American Cancer Society announced that its annual cancer statistics report finds that there has been a 22% drop in cancer mortality in the United States over two decades, leading to the avoidance of more than 1.5 million cancer deaths that would have occurred if peak rates had persisted. And while cancer death rates have declined in every state, the report finds substantial variation in the magnitude of these declines, generally with the states in the South showing the smallest decline and in the Northeast the largest decline. Each year, the American Cancer Society compiles the most recent data on cancer incidence, mortality, and survival based on incidence data from the National Cancer Institute and the Centers for Disease Control and Prevention, and mortality data from the National Center for Health Statistics. The data are disseminated in two reports: Cancer Statistics 2015, that will be published online in CA: A Cancer Journal for Clinicians on January 5, 2015, and also in its companion, consumer-friendly publication, Cancer Facts & Figures 2015 on January 5, 2015. The reports also estimate the number of new cancer cases and deaths expected in the United States in the current year. Largely driven by rapid increases in lung cancer deaths among men as a consequence of the tobacco epidemic, the overall cancer death rate rose during most of the 20th century, peaking in 1991. The subsequent steady decline in the cancer death rate is the result of fewer Americans smoking, as well as advances in cancer prevention, early detection, and treatment. During the most recent five years for which data are available (2007-2011), the average annual decline in cancer death rates was slightly larger among men (1.8%) than women (1.4%). Researchers at the Stanford University Medical Center in Palo Alto, California have identified a molecular network that comprises many of the genes previously shown to contribute to autism spectrum disorders. The findings provide a map of some of the crucial protein interactions that contribute to autism and will help uncover novel candidate genes for the disease. The results were reported online on December 30, 2014 in an open-access article in Molecular Systems Biology, published by the European Molecular Biology Organization (EMBO) Press. "The study of autism disorders is extremely challenging due to the large number of clinical mutations that occur in hundreds of different human genes associated with autism," says Dr. Michael Snyder, Professor at the Stanford Center for Genomics and Personalized Medicine and the lead author of the study. "We therefore wanted to see to what extent shared molecular pathways are perturbed by the diverse set of mutations linked to autism in the hope of distilling tractable information that would benefit future studies." The researchers generated their interactome - the whole set of interactions within a cell - using the BioGrid database of protein and genetic interactions. "We have identified a specific module within this interactome that comprises 119 proteins and which shows a very strong enrichment for autism genes," remarks Dr. Snyder. Gene expression data and genome sequencing were used to identify the protein interaction module with members strongly enriched for known autism genes. 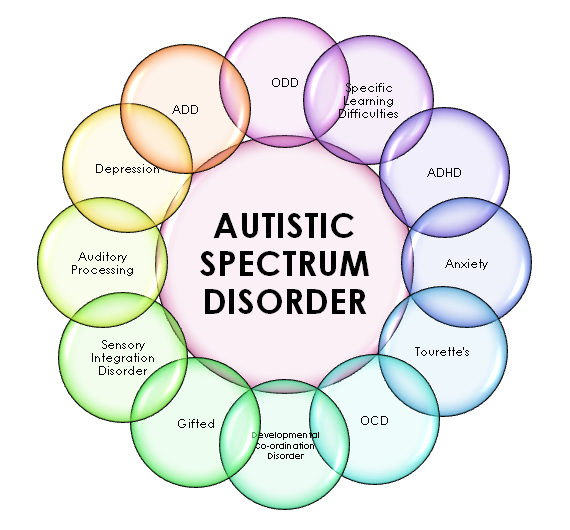 The sequencing of the genomes of 25 patients confirmed the involvement of the module in autism; the candidate genes for autism present in the module were also found in a larger group of more than 500 patients that were analyzed by exome sequencing. Case Western Reserve University researchers have identified a two-pronged therapeutic approach that shows great potential for weakening and then defeating cancer cells. The team's complex mix of genetic and biochemical experiments unearthed a way to increase the presence of a tumor-suppressing protein which, in turn, gives it the strength to direct cancer cells toward a path that leads to their destruction. If the laboratory findings are supported by tests in animal models, the breakthrough could hold the promise of increasing the effectiveness of radiation and chemotherapy in shrinking or even eliminating tumors. The key is to build up a "good" protein - p53-binding protein 1 (53BP1)(see image) -- so that it weakens the cancer cells, leaving them more susceptible to existing cancer-fighting measures. The breakthrough was reported online on November 24, 2014 in PNAS. "Our discovery one day could lead to a gene therapy where extra amounts of 53BP1 will be generated to make cancer cells more vulnerable to cancer treatment," said senior author Youwei Zhang, Ph.D., Assistant Professor of Pharmacology, Case Western Reserve University School of Medicine, and member of the Case Comprehensive Cancer Center. "Alternatively, we could design molecules to increase levels of 53BP1 in cancers with the same cancer-killing end result." The cornerstone of the research involves DNA repair - more specifically, double-stand DNA repair. DNA damage is the consequence of an irregular change in the chemical structure of DNA, which in turn damages and even kills cells. The most lethal irregularity to DNA is the DNA double-strand break in the chromosome. DNA double-strand breaks are caused by everything from reactive oxygen components occurring with everyday bodily metabolism to more damaging assaults such as radiation or chemical agents. Dogs and other pets play an important role in individuals' social lives, and they can act as catalysts for social interaction, previous research has shown. Although much media attention has focused on how dogs can improve the social skills of children with autism, a University of Missouri (MU) researcher recently found that children with autism have stronger social skills when any kind of pet lived in the home. "When I compared the social skills of children with autism who lived with dogs to those who did not, the children with dogs appeared to have greater social skills," said Gretchen Carlisle, Ph.D., Research Fellow at the Research Center for Human-Animal Interaction (ReCHAI) in the MU College of Veterinary Medicine. "More significantly, however, the data revealed that children with any kind of pet in the home reported being more likely to engage in behaviors such as introducing themselves, asking for information, or responding to other people's questions. These kinds of social skills typically are difficult for kids with autism, but this study showed children's assertiveness was greater if they lived with a pet." Pets often serve as "social lubricants," Dr. Carlisle said. When pets are present in social settings or a classroom, children talk and engage more with one another. This effect also seems to apply to children with autism and could account for their increased assertiveness when the children are living in a home with pets, Dr. Carlisle said. "When children with disabilities take their service dogs out in public, other kids stop and engage," Dr. Carlisle said. "Kids with autism don't always readily engage with others, but if there's a pet in the home that the child is bonded with and a visitor starts asking about the pet, the child may be more likely to respond." 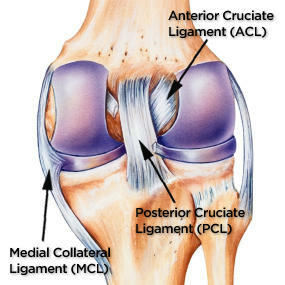 Connecting the femur to the tibia, the anterior cruciate ligament (ACL) rupture is one of the most devastating injuries in sports. No other injury has sidelined more athletes for a season or even the rest of a career. And ACL sprains and tears affect more people than just the pros. According to the American Association of Orthopaedic Surgeons, more than 250,000 ACL surgeries are performed annually in the United States, totaling up to more than $500 million in health care costs each year. Not only is the ACL inelastic and prone to popping, it is incapable of healing itself, causing surgeons to rely on autografts for reconstruction. Most common is the bone-patellar tendon-bone (BPTB) graft, in which the surgeon removes part of the patellar tendon to replace the damaged ACL. "BPTB autografts have a high incidence of knee pain and discomfort that does not go away," said Dr. Guillermo Ameer, Professor of Biomedical Engineering at Northwestern University's McCormick School of Engineering and Professor of Surgery at the Northwestern’s Feinberg School of Medicine. "By saving the patient's patellar tendon and using an off-the-shelf product, one may have a better chance of preserving the natural biomechanics of the knee." Dr. Ameer and his research team are working to engineer such a product by combining three components: polyester fibers that are braided to increase strength and toughness, an inherently antioxidant and porous biomaterial previously created in Ameer's lab, and calcium nanocrystals, a mineral naturally found in human teeth and bones. As part of an international project, researchers at the Integrative Prehistory and Archaeological Science center (IPAS) at the University of Basel examined samples from the "Basel-Gasfabrik" Celtic settlement, at the present day site of Novartis. The settlement was inhabited around 100 B.C. and is one of the most significant Celtic sites in Central Europe. The team found the durable eggs of roundworms (Ascaris sp. ), whipworms, (Trichuris sp. ), and liver flukes (Fasciola sp.). The eggs of these intestinal parasites were discovered in the backfill of 2,000-year-old storage and cellar pits from the Iron Age. The presence of the parasite eggs was not, as is usually the case, established by wet sieving of the soil samples. Instead, a novel geoarchaeology-based method was applied using micromorphological thin sections, which enable the parasite eggs to be captured directly in their original settings. The thin sections were prepared from soil samples embedded in synthetic resin, thus permitting the researchers to determine the number and exact location of the eggs at their site of origin in the sediments of the pits. This offered new insights into diseases triggered by parasites in the Iron Age settlement. The eggs of the Iron Age parasites originate from preserved human and animal excrement (coprolites) and show that some individuals were host to several parasites at the same time. Furthermore, the parasite eggs were distributed throughout the former topsoil, which points to the waste management practiced for this special type of “refuse.” It may, for example, have been used as fertilizer for the settlement's vegetable gardens. 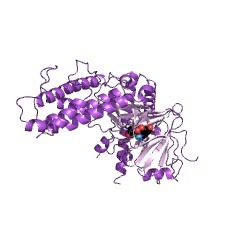 Estradiol (image), a type of estrogen, enhances the levels and activity in mice of an enzyme that drives life-threatening allergic reactions, according to researchers from the National Institute of Allergy and Infectious Diseases (NIAID), part of the National Institutes of Health (NIH). The study results, published online on December 29, 2014 in The Journal of Allergy and Clinical Immunology, may help explain why women frequently experience more severe allergic reactions compared to men. Furthermore, the results reaffirm the importance of accounting for gender in the design of animal experiments. Anaphylaxis is an allergic reaction triggered by food, medication, or insect stings and bites. Immune cells, particularly mast cells, release enzymes that cause tissues to swell and blood vessels to widen. As a result, skin may flush or develop a rash, and in extreme cases, breathing difficulties, shock, or heart attack may occur. Clinical studies have shown that women tend to experience anaphylaxis more frequently than men, but why this difference exists is unclear. In the current study, NIAID researchers found that female mice experience more severe and longer-lasting anaphylactic reactions than males. Instead of targeting immune cells, estrogen influences blood vessels, enhancing the levels and activity of endothelial nitric oxide synthase (eNOS), an enzyme that causes some of the symptoms of anaphylaxis. When the researchers blocked eNOS activity, the gender disparity disappeared. In addition, giving estrogen-blocking treatments to female mice reduced the severity of their allergic responses to a level similar to those seen in males. Investigators working to unravel the impact of genetics versus environment on traits such as obesity may also need to consider a new factor: when individuals were born. In an online article published on December 29, 2014 in PNAS, a multi-institutional research team reports finding that the impact of a variant in the FTO (fat mass- and obesity-associated) gene that previous research has linked to obesity risk largely depends on birth year, with no correlation between gene variant and obesity in study participants born in earlier years and a far stronger correlation than previously reported for those born in later years. "Looking at participants in the Framingham Heart Study, we found that the correlation between the best-known obesity-associated gene variant and body mass index increased significantly as the year of birth of participants increased," says James Niels Rosenquist, M.D., Ph.D., of the Massachusetts General Hospital (MGH) Department of Psychiatry, lead author of the report. "These results -- to our knowledge the first of their kind -- suggest that this and perhaps other correlations between gene variants and physical traits may vary significantly depending on when individuals were born, even for those born into the same families." The authors note that most studies of interactions between genes and the environment have looked at differences within specific birth cohorts -- groups born during a particular span of years -- which would not account for changes in the larger environment that take place over time. Researchers at Johns Hopkins have discovered what keeps an enzyme called RAG (recombination activating gene) from becoming overzealous in its clipping of DNA. Because controlled clipping is required for the production of specialized immune system proteins, an understanding of what keeps the enzyme in check should help explain why its mutant forms can lead to immunodeficiency and cancer. A summary of the results was published online in an open-access article in Cell Reports on December 24, 2014. The immune system relies on the formation of specialized proteins (antibodies) that can recognize and immobilize foreign invaders like viruses and bacteria. Because storing individual blueprints for each of these proteins would require huge amounts of DNA, the body instead mixes and matches different chunks of sequence to produce roughly 300 trillion possibilities. This mixing and matching, called recombination, requires that DNA be clipped by the RAG enzyme. "Recombination is essential for the immune system's ability to recognize and fight new enemies, but too much clipping can cause harmful chromosome rearrangements," says Stephen Desiderio, M.D., Ph.D., director of the Institute for Basic Biomedical Sciences at Johns Hopkins and the senior researcher for the study. "We now know that RAG has a built-in lock that prevents it from getting out of hand as it clips DNA." To keep the system efficient, each immune cell makes only a single antibody and only does so after being activated. Several years ago, Dr. Desiderio's group found that this level of control is enforced by a segment of RAG called the PHD segment. The PHD segment binds to a chemical tag called H3K4me3, which is only found on DNA that is actively being rewritten as RNA. This prevents RAG from recombining DNA that is not active. On December 29, 2014, the New York Times reported on recent scientific efforts to identify mutations that may protect against certain genetic diseases and attempt to mimic each such mutation’s positive influence with a drug. One such effort is called The Resilience Project and is being led by Eric Schadt, Ph.D., Director of the Icahn Institute for Genomics and Multiscale Biology at Mount Sinai Hospital in New York City, Professor & Chair, Genomics and Genomic Sciences, and by Stephen Friend, M.D., Ph.D., Director of Sage Bionetworks in Seattle, Washington. This new project intends to identify one million volunteers who should have inherited a specific Mendelian disease (a disease caused by a mutation in one gene), but did not. The Times front-page article, authored by science writer Gina Kolata, spotlighted one such individual, Doug Whitney, who has a gene mutation that causes early-onset Alzheimer’s disease and yet Mr. Whitney, who is now 65 years old, has shown no signs of the disease. The mutation killed Mr. Whitney’s mother, nine of her 13 siblings, and Mr. Whitney’s older brother. All of the victims showed symptoms in their 40’s and most died by their mid-50’s. In the next generation, six of Mr. Whitney’s cousins have died of early-onset Alzheimer’s and two other cousins are in the final stages of the disease. One of Mr. Whitney’s cousin’s children also has early-onset Alzheimer’s. So why and how has Mr. Whitney, himself, apparently been spared from this dire genetic disease even though he has inherited the mutated disease gene? The scientists believe it may well be because he has inherited another gene mutation or mutations that exert a protective effect against the mutation that causes early-onset Alzheimer’s. They are now looking for that mutation or mutations as part of The Resilience Project.